Hit the road and head for the coast. It's not that far. In fact, if you live in the UK, you will never be more than 70 miles from the great British seaside. And what better way to make the trip than in a camper van? Pull up at the beach, breathe in a lungful of fresh sea air and prepare to have some fun, whatever the time of year you're going. With fabulous fresh, local and seasonal food available to you, why not turn it into a culinary adventure? Snack on spring seaweeds. Feast on freshly caught fish. Roast chestnuts under autumn skies. Celebrate Christmas lunch, camper van style. 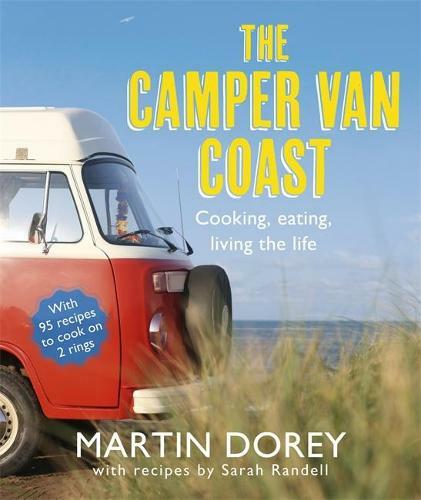 With ninety-five delicious recipes that can be cooked on just two rings and a whole lot more ideas for living the life, The Camper Van Coast will take you right there. All you have to do is pack in the pac-a-mac and light up the beach fire.